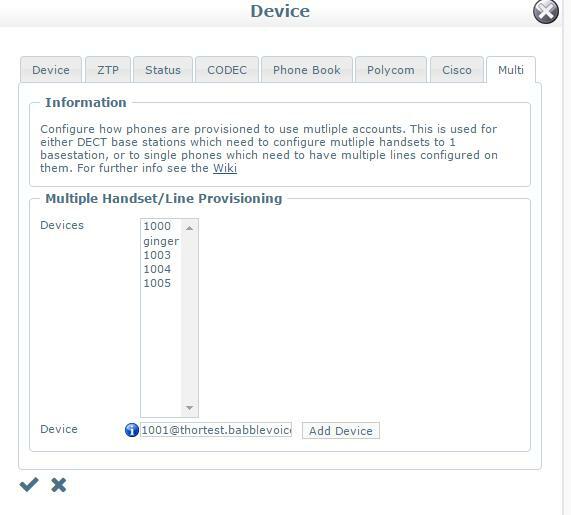 you have a DECT device and the base station configures each account for each of the physical handsets. Within this screen you can assign multiple accounts to a master account (i.e. you are editing 1000@yourdomain.babblevoice.com and you want to add 1001@yourdomain.babblevoice.com, 1000 would be the master). For the same domain simply click the secondary accounts, or if the account you wish to add is on another domain use the second part of the form to do this. If you are trying to add a device from another domain then you may need to give permission on the second domain to allow this action. Once configured, it normally requires a reboot of the phone and you are away.